CONSUMERS LOVE THE IRRESISTIBLE TASTE AND LOOK OF LADY LOLA. 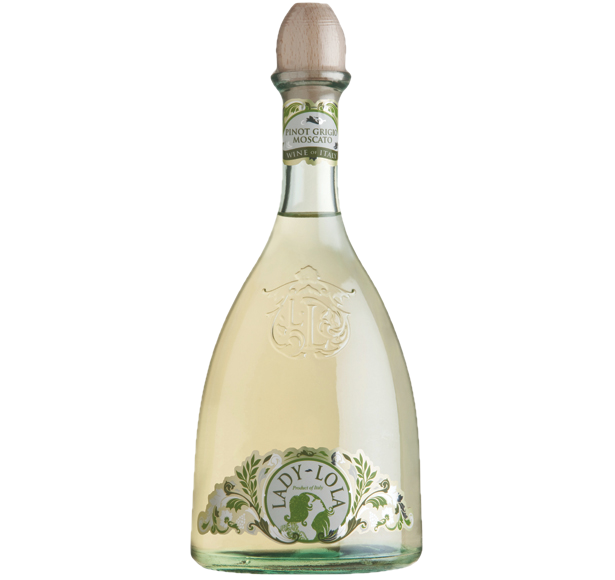 Lady Lola has created a new category with the first ever premium Pinot Grigio Moscato blend. Lady Lola brings together everything today’s female wine drinker wants in one great bottle of wine; an attractive, eye-catching bottle with a re-useable wooden stopper, an alluring and sophisticated brand name and innovative styling with a vintage vibe. Fresh and crisp. Exotic flavors intermingle with a zesty tropical acidity. Sweet, fruity finish.